Turkey’s military has attacked ISIS positions in Syria and Kurdish PKK militants in northern Iraq to defend the country’s security, Turkish PM Ahmet Davutoglu announces. Ahmet Davutoglu added that 590 suspected ISIS and PKK members had been arrested. It follows a week which saw a bomb attack blamed on ISIS kill 32 people in the Turkish town of Suruc. Subsequent clashes with ISIS militants on the Turkey-Syria border led to the death of a Turkish soldier. The PKK’s military wing said it had killed two Turkish police officers on July 22, claiming they had collaborated with ISIS in the bombing in Suruc, which targeted left-wing activists. 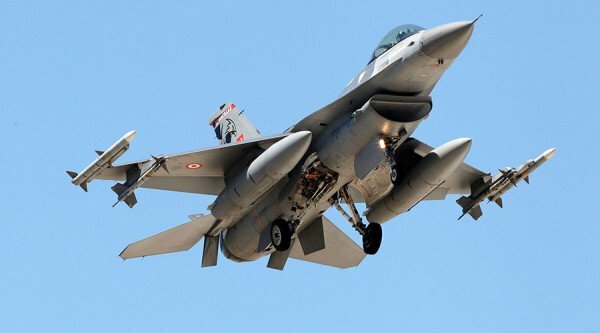 A government statement on July 25 said the air force had hit PKK shelters, bunkers, storage facilities and other “logistic points” in northern Iraq, including the Qandil mountains where the PKK’s high command is based. It did not give details of what the jets had targeted in their attacks on ISIS in Syria. Turkey’s military had also shelled Islamic State and PKK positions from across the Turkish border, the statement said. Speaking to reporters on July 25, PM Ahmet Davutoglu said: “Unfortunately Turkey is surrounded by a ring of fire. Turkish Foreign Minister Mevlut Cavusoglu said areas of northern Syria cleared of ISIS fighters would become natural “safe zones”. Turkey has also said it will let the US use a key airbase to attack ISIS targets. The group has been fighting Turkey for an autonomous homeland for the Kurds for decades. The Turkish government has faced criticism at home and abroad for not doing enough against ISIS, despite being part of the international coalition fighting it. The first round of anti-ISIS air strikes on July 24 marked the first time Turkey had confirmed air strikes against targets in Syria since ISIS began its advance through Iraq and Syria in 2013. The agreement to let the US use the Incirlik airbase, following months of negotiations, was made in a phone call between President Barack Obama and his Turkish counterpart, President Recep Tayyip Erdogan – but has yet to be approved by the Turkish cabinet. The Turkish government could allow the US to step up air strikes against ISIS, as it is closer to northern Syria and Iraq than the Gulf, which currently serves as a launch-pad for bombing missions.